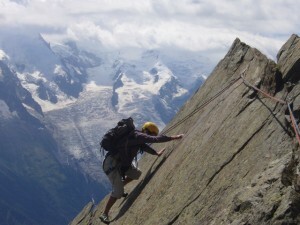 The Alps offer rock climbing of all grades and all different lengths. If you can climb in the UK or on a climbing wall then accompanied by a Mountain Guide you can conquer some of the most outstanding and aesthetic rock climbing routes in the Alps. The beauty of rock climbing around Chamonix is that there are long multi pitch climbs within easy access of the ski lift system which offer different grades of difficulty essentially straight from the carpark. Another advantage that Chamonix has is the proximity of Italy which can experience a completely different weather system for Chamonix. Sunny in one and pouring with rain in the other. 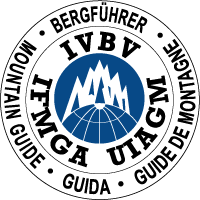 If you want to start climbing outdoors and fancy some long easy alpine routes with the security of a Mountain Guide or you are an experienced climber who wants to develop your multi- pitch leading then get in touch with Steve Hartland and talk about the options.